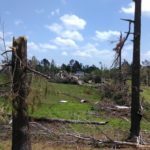 On April 28th, several communities in north eastern Mississippi were hit by a F3 tornado. The damage was spanned over 24 miles and the tornado lasted for 26 minutes. 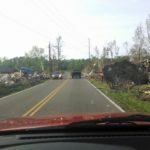 In Itawamba County, east of Tupelo, there were no deaths although several houses were completely destroyed. A longtime resident of Ozark gave credit to the areas emergency notification system. 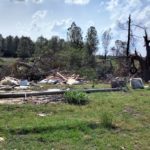 He said the tornado alerts gave him and his family plenty of time to seek shelter in their storm cellar. Residents responded to these notifications and because of the warnings, several lives were saved. Tornadoes can cause devastating damage and kill hundreds of people because they happen so quickly. 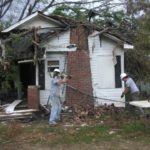 However, with warning, even if it is just several minutes, those in the projected path of destruction can prepare and keep their families safe.